Recently President Trump spoke during an interview with a TV personality and said that he had conversations with former House Speaker Paul Ryan in 2018 in which Ryan promised that he would make sure that the president got the funding he needed in exchange for signing the omnibus spending bill. Unfortunately, after President Trump signed the bill, Ryan backed out on his commitment to get the funding. Is anybody surprised about that? An omnibus bill is a proposed law that covers a number of diverse or unrelated topics. President Trump said, “Well, I was going to veto the omnibus bill and Paul told me in the strongest of language, ‘Please don’t do that, we’ll get you the wall.’ And I said, ‘I hope you mean that, because I don’t like this bill,’” Trump recalled. our country. Humanitarian crisis, trafficking, drugs…you know, everything: people, criminals, gangs, so, you know, we need the wall.” And then he went lame duck. Personally, I have no clue why the President was disappointed and why in the world he trusted this man Paul Ryan, a man who held hands with Barack Hussein Obama. The most important thing we know about Paul Ryan is that he is close friends with Vice President Mike Pence. Do we need to worry about Mike Pence as well? Is it important for President Trump to find a new running mate for the 2020 elections? In my opinion, he better start looking for someone more… you know… loyal. I honestly want to know what those so-called Republicans are doing in support of the country. 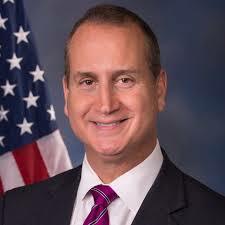 Let’s take as an example, U.S. Rep. Mario Diaz Balart, for Florida District 25, who wants to give total legalization to DACA, TPS, and whoever is attached to his decision. the country when they already legalized themselves without any help from Rep. Mario Diaz Balart, by already doing everything legal people are doing? They are holding down good-paying jobs, they are buying homes, they are buying trucks (total cash payment on the spot), they have driver’s licenses, and even without documents they are voting in our elections. from their union telling them how to vote. The majority of the time they don’t even know who the candidate is. Jorge Ramos, who is the one who interviewed him. The wall must be built because that is what the American people want and that’s what President Trump promised to the people of this great nation. illegal aliens with a criminal mentality. Let’s not think only about crimes committed in other states, such as the sanctuary state of California, wherein a man killed a young woman and walked free because the State of California denied that woman the right to justice. that woman would be dead today. The man who attacked her is also an illegal alien who has been deported twice before. Can you read this, Nancy Pelosi? Enough of your ideology about open borders. The American people want to be secure in their own land, the same way you secure your fortress home to protect your family and your own life.